Me: What do these words mean to you? Child: Well, it means I was thinking about everything else I needed to do and not doing the one most important thing…keeping my eye on the ball! Me: This happens in life everyday to me. We’re not alone–in the gym or in life. Distractions cause us to lose our focus. We allow the trivial or all the details to get in the way of the most important or meaningful point. Busyness and stress keep us from developing the relationships we need to move forward. We fret about the past, worry about the future, and take focus off the present. Bombarded by information (especially social media) and other daily distractions, we forget what is truly important. We often focus on the outcomes instead of the process and wonder why we miss the target. We focus on everything else except THE BALL. 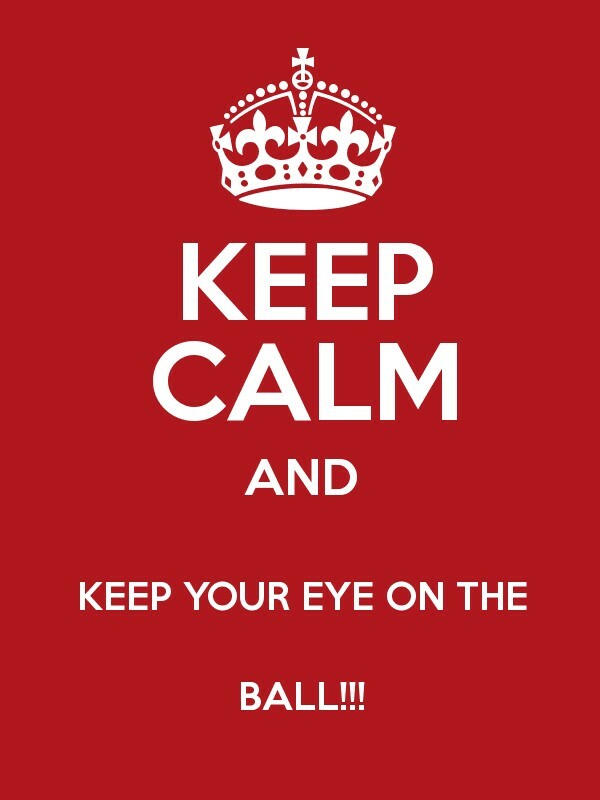 As we roll into this second semester full force, I challenge all of us to keep our eye on the ball. Get back to basics, routines, and fundamentals. Identify the simple actions crucial to your daily success (as Mr. Van says, “those items most critical to your continued existence on the planet”). Reflect on what really matters. Here’s hoping we all keep our eye on the ball and take our game to a new, higher level! This entry was posted in Personal Reflections and tagged ball. Bookmark the permalink.